The classic ’80s animated series is back in this wild western/sci-fi mashup! In the distant future, the safety of the galaxy falls to the Star Sheriffs. When the mysterious Outriders begin attacking planets with advanced technology, a legendary marksman named Saber Rider steps up to stop this terrible new enemy. 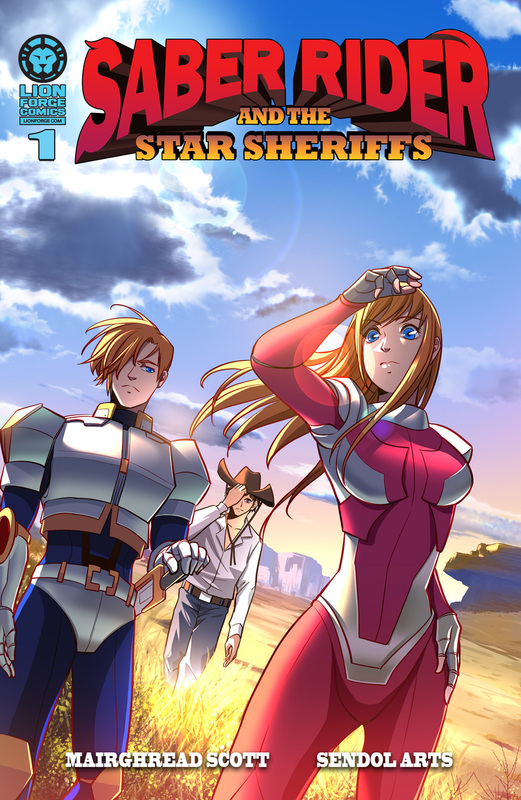 While I may have been too little to enjoy the tv show Saber Rider and the Star Sheriffs the comic is based on, that didn’t prevent me from enjoying it. This is a great way to bring back the old Saturday morning cartoon feeling to a new generation. Of course that also allows them to introduce other classic 80’s cartoons from the time like Voltron, and Thundercats. The art has modern, almost anime inspired style with an western feel. For the most part the color scheme is filled with bright, primary colors that is easily bolsters the Saturday morning cartoon vibe. Even the action scenes are executed in a superb manner. Honestly between this and the continuing stream of superhero movies, I imagine the comic book industry will survive for generations to come.